All state institutions, including schools, district councils, departments of social protection and the usual city polyclinics are located in various districts. Usually people in a certain medical institution to which they are attached at the place of residence. But not always this means that the closest clinic and you will be the one that you need. 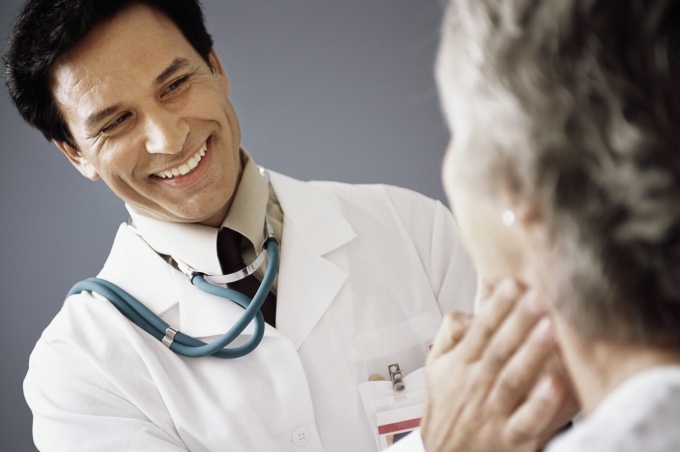 So if you first are going to seek medical help, learn how to find your clinic. Go to the Internet. The easiest way to find the right clinic is to visit the website of the Department of health in your city. If we are talking about Moscow, it will be http://www.mosgorzdrav.ru. Then you just have to choose the County and to provide the nearest subway station. The system will show you all the information available on this site medical institutions - both adults and children. If there are several variants, call them and inquire as to what exactly Agency is your address. If the Internet at hand no, you can use a conventional phone. Call the hotline the Department of health. Working it professionals, usually in total working hours, i.e. from 9.00 to 18.00. In some cases, the time of completion of work may be extended up to 20.00. Saturday, Sunday - weekend. In a conversation with an expert you need to call your address and you will receive all the information you need - right down to the mode of operation of the clinic. Will help in searchAh, you and address book. Look for the ' suitable for you by area clinics and just call them to find out what exactly you need to come. You can just ask the neighbors. Especially those that have already aged. They and the way will tell, and hours of operation, and the name of your local therapist. Sometimes the name of your underlying medical institution prescribed in the policy of obligatory medical insurance (OMS). Therefore, read the document, perhaps it will help you to solve the mystery. Remember to contact the clinic by place of residence you can and in that case, if the actual permanent record you have in another area. Just need to write the application addressed to the chief physician, and a baseline for you will be the clinic that is assigned to the place of your actual residence and not permanent residence. 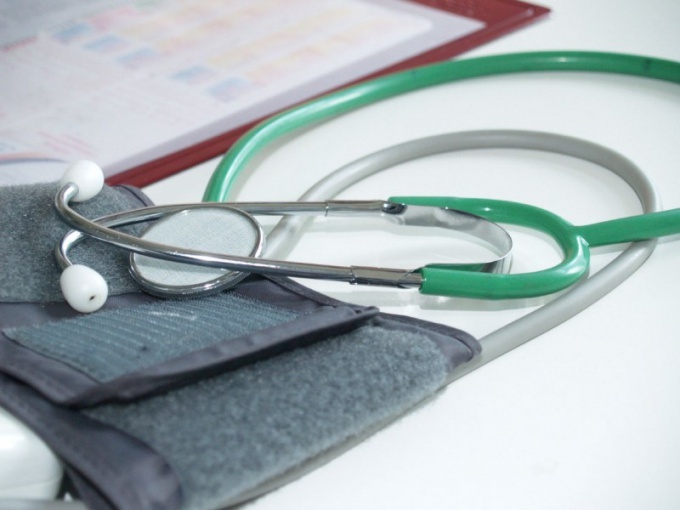 There are times when health does not allow to reach the clinic on their own, but at the same time need a doctor who will prescribe a list of disability and prescribe treatment depending on the diagnosis. In this case you can call home therapist from the clinic. Call the clinic registry that serves your address. Phone your clinic to find out, after calling the help Desk. Usually the calls are accepted from 7 am to 11-12 hours of the day. To call to the clinic can be difficult, so please be patient. State your first name, surname and address where you are. If the receptionist asks why you call the doctor, describe the symptoms of the disease. Only a specialist will be able to understand how urgently you need a doctor. Perhaps the receptionist will advise you to call an Ambulance if you believe that your condition requires emergency care. Ask someone from neighbors or relatives to go to the clinic, if you call to the registry failed. May they will personally complete the application to call the doctor. Lie in bed and wait for the doctor. The doctor usually comes in the afternoon after finish the visit to the clinic. If the therapist didn't show up until 18 hours, please call the reception in the hospital again. Maybe the doctor a lot of challenges and it is on its way to you. But there has to be some kind of glitch and your application did not pass. In this case, the registry staff will contact the doctor and you will be assisted. In order to attributed to the clinic, you must have the policy of compulsory health insurance - compulsory health insurance. With it, you can go to the district hospital, pre-written statement addressed to the head physician. If you are a foreigner, you will first need to contact the territorial health Agency. To attach to the clinic need a passport, insurance, registration documents, statement. 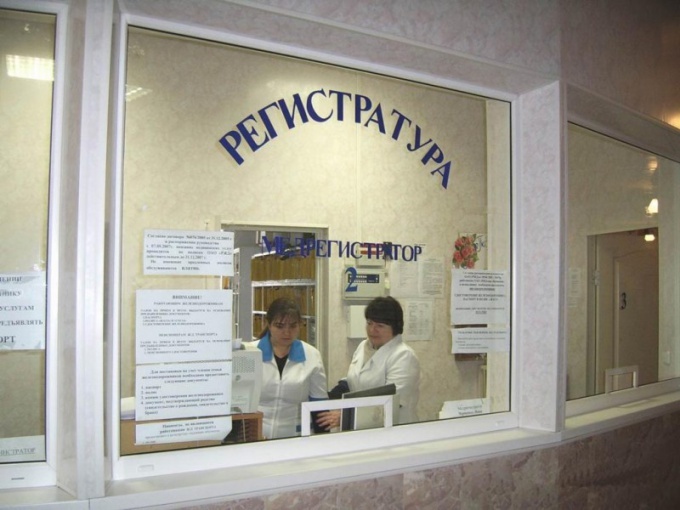 The main condition to be attached to a district clinic - the presence of medical insurance, which you may fill out the employer if you are working officially. If you officially do not work, then the policy you can place yourself in the place of residence, if you are registered there. Just go to the nearest hospital - it will tell you where and how it should be done. In the absence of both work and registration policy will have to draw in his hometown. Having the policy, you have the right to attach to the clinicnearest to your actual place of residence. This applies both for non-residents or foreigners, and for residents who, for one reason or another temporarily changed their place of residence. Grab your passport, insurance, and documentation of your registration and will contact the clinic in the registry. There you will be given an application form attached to the clinic in the name of the chief physician. You should fill it out and submit. From this moment you can consider yourself attached. In some cases, the clinic may send you to the district health authority where you will be given direction for attachment to one or another clinic. It will need to pass in this clinic. If you are a foreigner, you will need to immediately contact the local health authority. A list of documents you need to have is the same as in the previous cases. Remember that if you want to attach to the clinic, then to deny it is not right, even if you don't have all documents on hand. Having been refused, ask to place it in writing and go with him to the Prosecutor. Those who do not want to get in contact with public authorities can also ask for help from the company that issued your health insurance, since insurance companies usually help in such cases: to protect your rights in their interests. If you change residence you must immediately register with the clinic, located near new housing. This will help to avoid further complications that can arise if you need to obtain qualified medical assistance. - passport of the Russian Federation. In that case, if the place of your residence coincides with the place of your residence, the registration in the clinic do not require large amounts of force and effort. Enough to present to the reception Desk of the medical institution the passport with a mark about residence permit and medical insurance. If you do not live where registered, obtaining medical care may be some problems. But in any case you are entitled to receive medical assistance if you refuse to provide such information due to the lack of registration, you can refer to the Federal law of the Russian Federation No. 5242-I, the Russian President signed on 25 June 1993, confirms this. Non-resident students usually have no problems with registration in the medical institutions. They are enough to show the policy of obligatory medical insurance, passport, and student ID. In some cases, students may be asked to provide a copy of insurance and copy of the medical card. In that case, if you hold a certificate of temporary registration, it should be used when registering to the clinic. Will also need to submit the medical insurance and the passport of the citizen of the Russian Federation. In the absence of a certificate of temporary registration or if you wish to receive medical care in the institution relating to another territorial district, you will need to write the application with a request for registration in the name of the head of therapeutic Department clinics need. In this case you should be valid insurance. Remember that if you experience a situation requiring emergency medical intervention, registration is not required. However, as soon as the opportunity arises, you need to submit health documents to attach you to a healthcare institution.